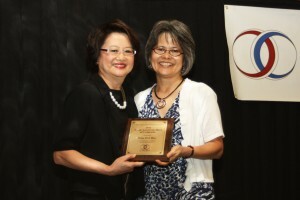 Hsu is a businesswoman, and leader of Colorado’s Asian and Pacific Island communities. She is president of Pacific Western Technologies Ltd., an information technology, environmental/facility management services company. Hsu was the founding mother of the Colorado Dragon Boat Festival, designed to build bridges of awareness, knowledge, and understanding between the diverse Asian Pacific communities. She also is co-founder of the International Multi-Cultural Institute. Hsu has endowed a scholarship, along with her husband, at Regis University to assist low-income Asian students. She is a National Fellow of the Asian Pacific American Women’s Leadership Institute, and created the Asian and Pacific Islander Emerging Leaders Program. Ding-Wen Hsu laughed when asked how she felt about being a role model. “I never thought of it as doing anything but following my heart,” Hsu said. She has been involved in the Chinese- and Asian-American communities for more than 30 years. Hsu is a mentor for the Colorado Chinese Youth Foundation; a national fellow of Asian Pacific American Women’s Leadership Institute, an organization that provides training for female community leaders; and the co-founder of International Multi-Cultural Institute, a nonprofit that promotes understanding and interaction among various cultures. A former principal of the Colorado Chinese Language School, Hsu said she was inspired to make changes to provide a fun environment for learning. She did not like watching her own children dread going to the school. But despite all of her many accomplishments, Hsu said co-founding the Colorado Dragon Boat Festival is her favorite. She calls it her third child. The annual festival was attended by more than 120,000 people in 2010, and attendance grows every year. 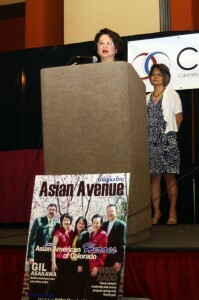 It is the largest Asian-American and Pacific-Islander event held in Colorado. Hsu said organizing the festival has helped her learn how to work with people. With the right people and the right combination of people, great things can be accomplished, she said. Hsu said she might have a knack for finding special talents in people, but credits her teams and pursuing her passions for her success. “I didn’t think anything I had done was worth mentioning. It is not just me. I have always had a team,” Hsu said. She encourages people to follow their hearts and pursue their passions even though they might be afraid at first. “Have the courage to step out of your comfort zone,” she said.